Detection of data races is one of the most actual issues of parallel programs verification. Two main approaches to automatic race detection are static and dynamic analysis. The latter is precise but it requires tracking all shared data accesses in the target program on-the-fly, thus imposing enormous overheads. In order to avoid races, accesses to shared data should be synchronized. Synchronizing techniques are often based on several typical patterns of code organization. This article discusses the most common patterns and some ways to find them statically. The algorithm that finds variables, all accesses to which are synchronized in all possible paths of execution, is proposed. Finally, the Java tool that was implemented and integrated with jDRD — a dynamic race detector that has been developed earlier by authors and presented at TMPA-2013 — is introduced. Keywords: concurrency; race detection; static analysis; Java. programs (Ph.D. thesis, University of Wisconsin at Madison, Madison, USA). 1991.
for Advanced Studies on Collaborative research, CASCON '99. form. Journal of the ACM (JACM), 2003, Vol. 50, No. 3, pp. 375–425. 7. Soot [A framework for analyzing and transforming Java and Android applications]. SIGPLAN Notices, 2006, Vol. 41, No. 6, pp. 308–319. 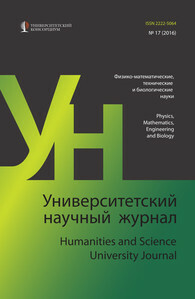 2004, Vol. 39, Issue 12, pp.92–106. 12. Coverity [Static code analysis]. Retrieved January 15, 2016, from http://www. of Computer Systems, Swiss Federal Institute of Technology, Zurich, Switzerland). thesis, University of Edinburgh, Edinburgh, Great Britain). 2014.